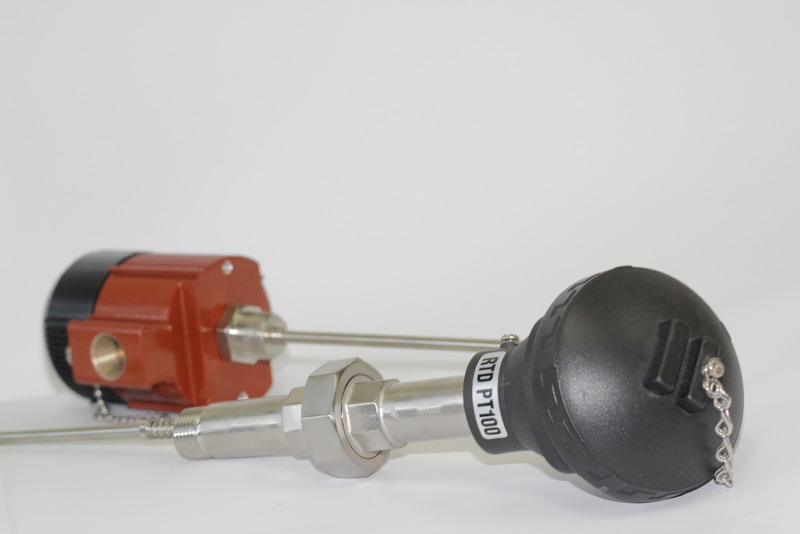 The most common type of Resistance Thermometer (RTD) is the PT100. These sensors are a well-liked choice in many industries, mainly laboratories and industrial processes. The main reason for their use is due to their stability and accuracy. They are superior measuring instruments which provide confidence in terms of repeatability. Be assured that you will get the same results for each temperature readout. RTDs are categorised into industrial, as well as general purpose. You can find the datasheets in each product type here. Each type is available as a PT100, PT250, PT500 and PT1000. Where should a PT100 be used? A PT100 can be used in any application needing a high measuring capability. Because of its construction, it can be used in applications from laboratories, to more rugged and harsh environments. A PT100 is essentially an instrument falling in the Platinum Resistant Thermometer category (PRT). The sensor has a variable resistor which changes resistance based on the temperature around the instrument.